You must have a copy of the winter 2014 issue of Quilting Celebrations if you want the pattern and instructions for making the placemat project, as shown. 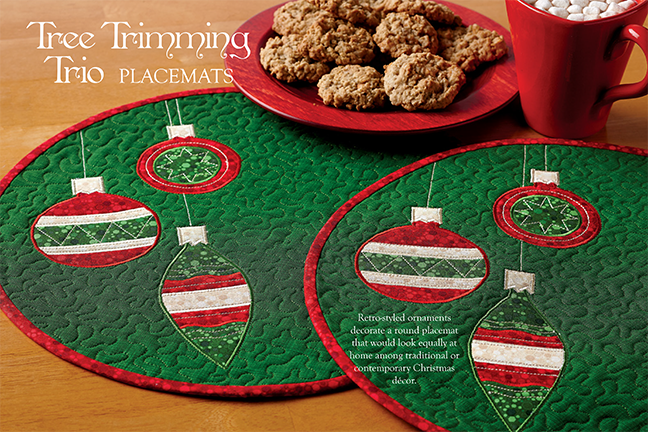 We used three of the ornaments for our placemats and stitched hanging strings above them. In this digitized version, there is a hanging loop and they may be used alone or grouped in the same way with hanging strings, stitched by hand.